When I think of summer, I imagine colour, print and fun! 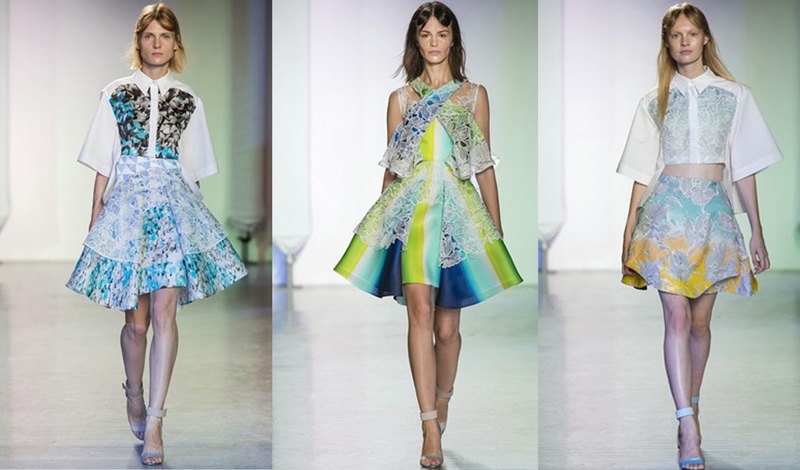 Which is definitely what you get with Peter Pilotto Spring Summer 2014 Collection. 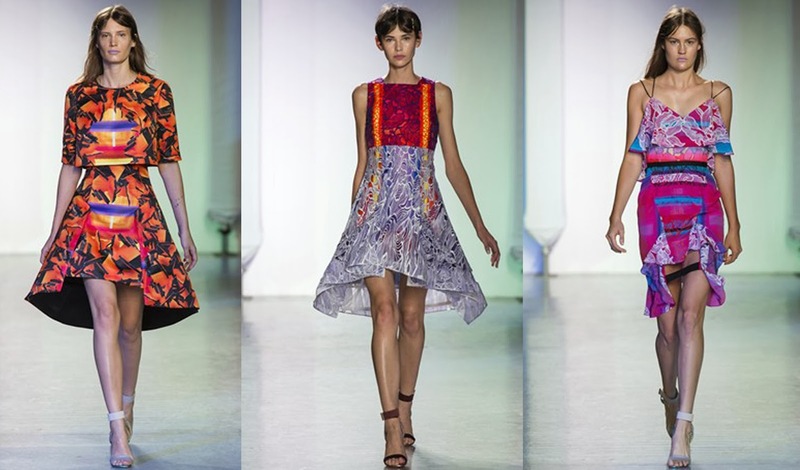 With bold blue & green, orange & red and monochrome colour combos and the use of print and very angular almost geometric shapes to the way the fabric had been cut, this is a very daring and oh so beautiful collection. Inspiration for the silhouettes, volume, fabrication, embellishment and colours were taken from Volcanoes! This collection is a lot of fun with its use of print, silhouette and colour but it is also well designed and well thought out; not many people could pair orange and pink together with a full on print and pull it off! 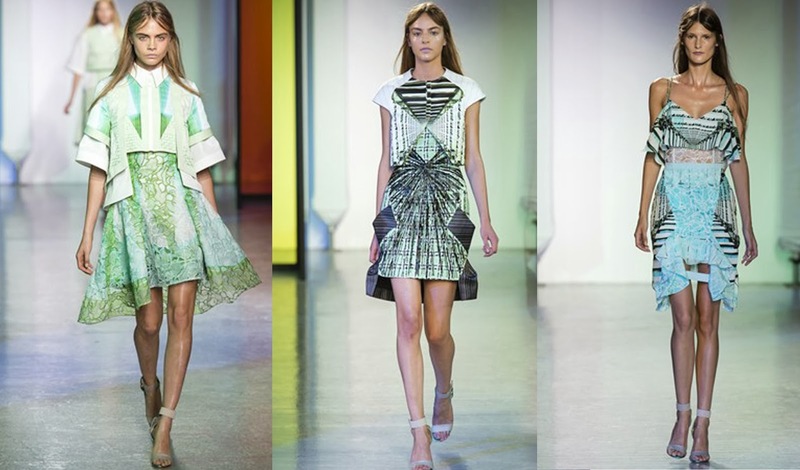 Overall I think this collection is a grown up yet feminine and wearable collection for spring summer. with a great use of prints and bold colours to keep us excited for the whole season.